The Computer Church: The Keypunch Type 001. 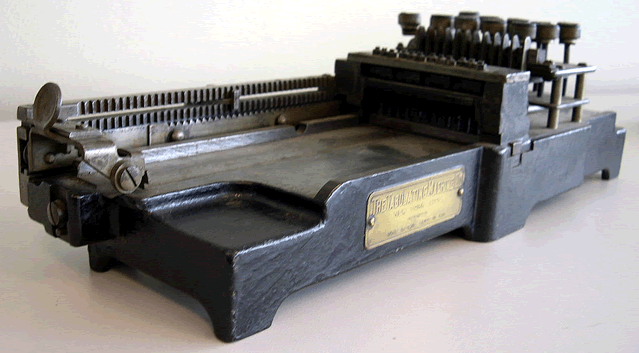 Invented by Herman Hollerith, the Type 001 was the first keypunch. Before 1901, Hollerith had first tried to use a train conductor's punch but the number of holes required for each card quickly resulted in people's hands cramping up. Hollerith then switched to a pantograph but that was too slow and cumbersome. 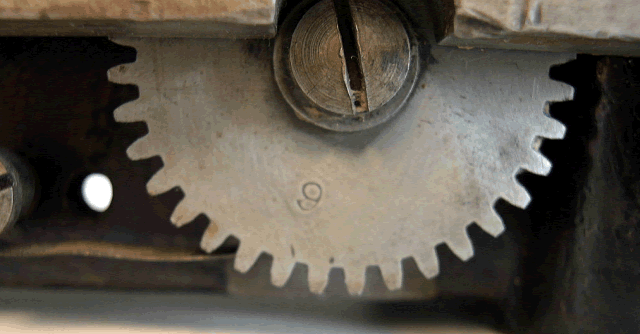 The keypunch is reported to have been twice as fast as the Pantographic Card Punch. The Type 001 is quite heavy. It has a cast iron base and measures 17 1/2 inches in length by 5 1/2 inches in depth. 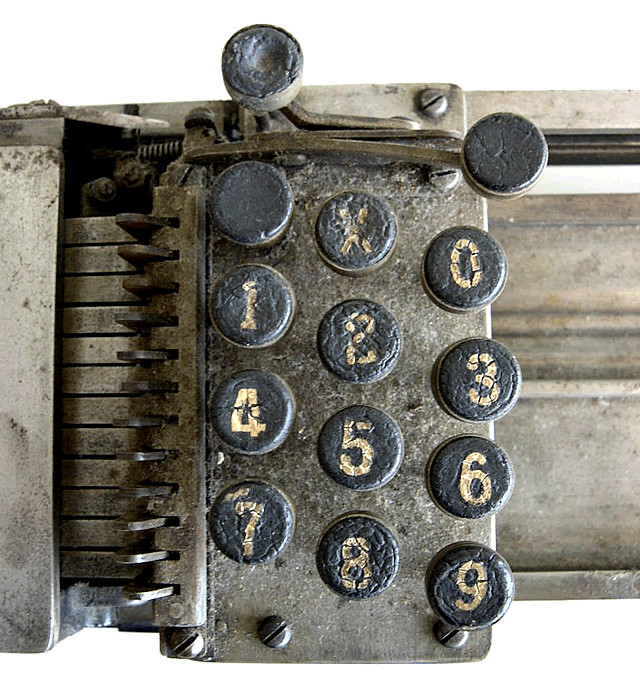 The keypunch operator pressed any one of the 12 numbered (0-9, X and a blank) keys to punch a hole. Each time a hole was punched, the card automatically advanced to the next column. There were two additional keys at the top, the one on the right advanced the card one column without punching a hole (for blank columns) and the one on the left slid the card all the way to the end so that it could be removed. Unlike keypunch machines that came after it, the Type 001 punched round holes in the cards. The Type 001 keypunch used 45 columns. 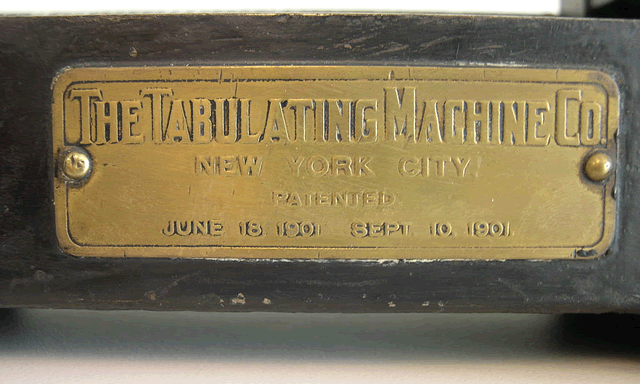 An electric version of the keypunch wasn't introduced until 1923. 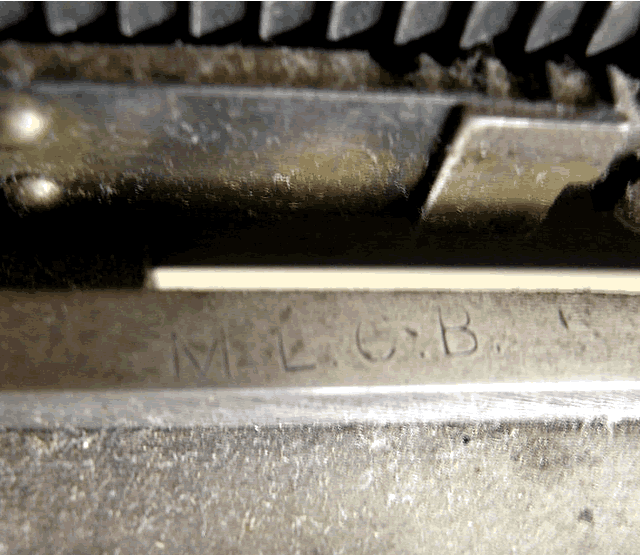 We are not sure what the serial number is for this keypunch, or even if there is a serial number, but there are two candidates. 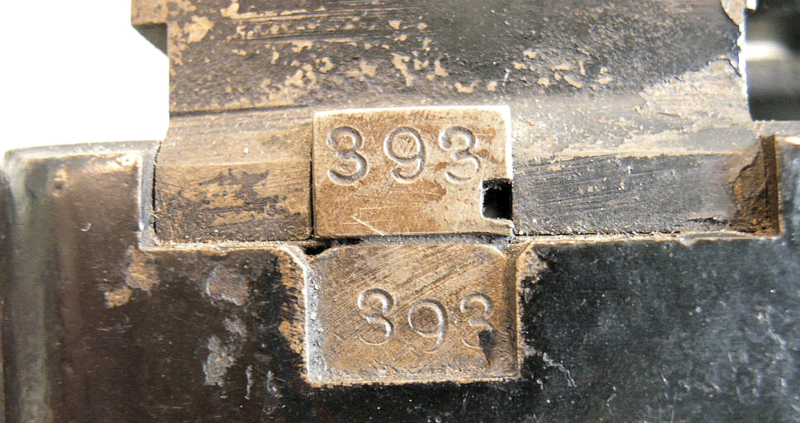 The keypunch is stamped with the number 393 in two places. 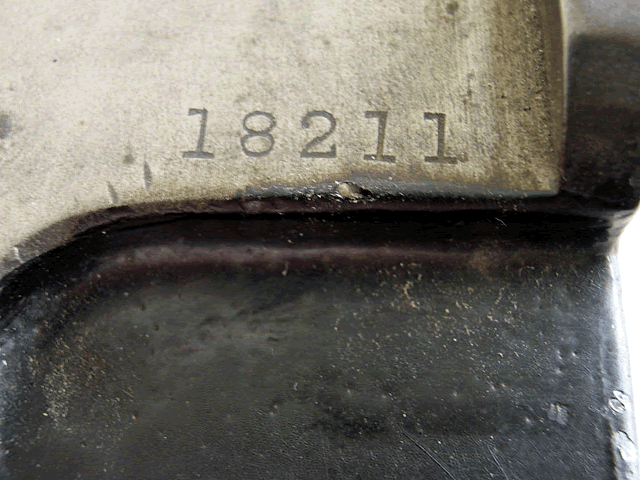 The keypunch is also stamped with the number 81211.
this is a test of the new church site shared comments script.